Walter Mosley heads to the city from New York for a rare UK appearance. Hosted by Writing on the Wall, the event will explore a shared literary heritage and transatlantic experiences of race, class and equality. Walter Mosley is one of the most versatile and admired writers in America today. He is the author of more than 43 critically acclaimed books, including the major best selling mystery series featuring Easy Rawlins and Devil in a Blue Dress. His work has been translated into 23 languages and includes literary fiction, science fiction, political monographs, and a young adult novel. He is the winner of numerous awards, including an O. Henry Award, a Grammy and PEN America’s Lifetime Achievement Award. Click the image below for a link to ticket sales for this event. A radio interview with David Foster Wallace’s sister, Amy, hears her tell of DFW wearing his hair in a top-knot and being discouraged to do so by his family, sensitively, so as not to hurt his feelings. Amy’s explanation of why DFW should not be wearing his hair in a top-knot was that it’s kind of the thing that little girls do – I’m paraphrasing here – and that the reason the family had to be so sensitive about breaking this news to him was that he had a problem with feeling that he wasn’t ‘masculine’ enough. But DFW was obviously rocking this look at a time when others weren’t – and fair play to him for that. Doing anything that makes you stand out is kind of tough, and wearing a top-knot sometime in the 80s, I’m guessing from Amy’s recollections, must have been a pretty hard look to pull off for a guy from the Mid-West. 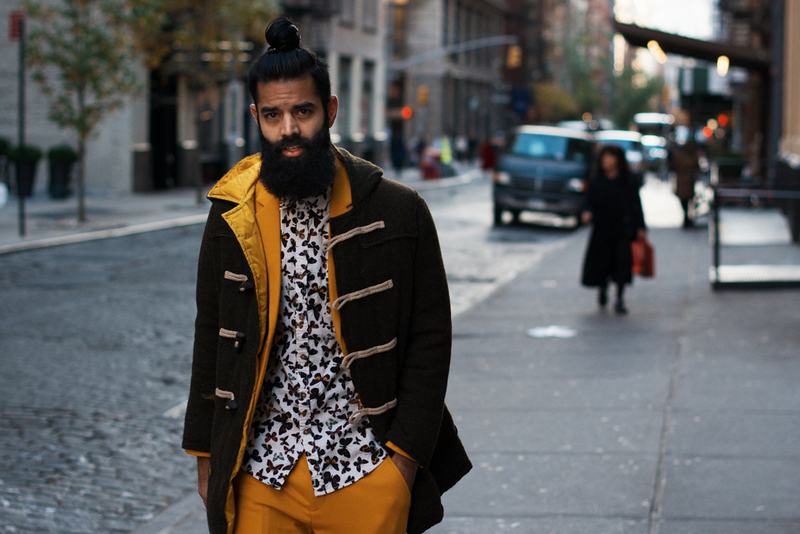 Fair enough, you might say, but, what of the current surge in top-knot wearing? The current trend for top-knot wearing is interesting, and controversial. It doesn’t always work, but don’t knock a person for trying. Anyhoo, here are a couple of links to do with men wearing top-knots – although the New York The AWL feature has lots of pictures of ones worn at the back of the head – surely not a top-knot by its very definition (a top-knot should be worn above the occipital bone, and preferably above the recession, IM humble O).